Snowshoeing across the great suspension bridge at Scenic Caves Nordic Center. Located within one of Canada’s 16 UNESCO biosphere reserves, and just a two-hour drive from Toronto, the Scenic Caves Nature Adventure and Nordic Center is a self-described “winter playground”. It features 27 kilometers of trails, a 420-foot suspension bridge, and stunning views of the Georgian Bay. The park is uniquely situated at the highest point of the Niagara Escarpment, a majestic plateau that runs through the Great Lakes region, and includes the famous cliffs over which Niagara Falls cascades. Scenic Caves delivers an elevated Nordic center experience and fun for all ages. The deep crevices and sky-high rock formations of the Scenic Caves attributed to the belief of the cave as a gateway to the afterlife by native cultures. In the early 1930s though, Scenic Caves began welcoming tourists to explore its awe-inspiring natural wonders such as cliffs, caves and waterfalls. Later marketed as an eco-park open only during the warm summer months, Scenic Caves Nature Adventures opened a Nordic Center in 2002. 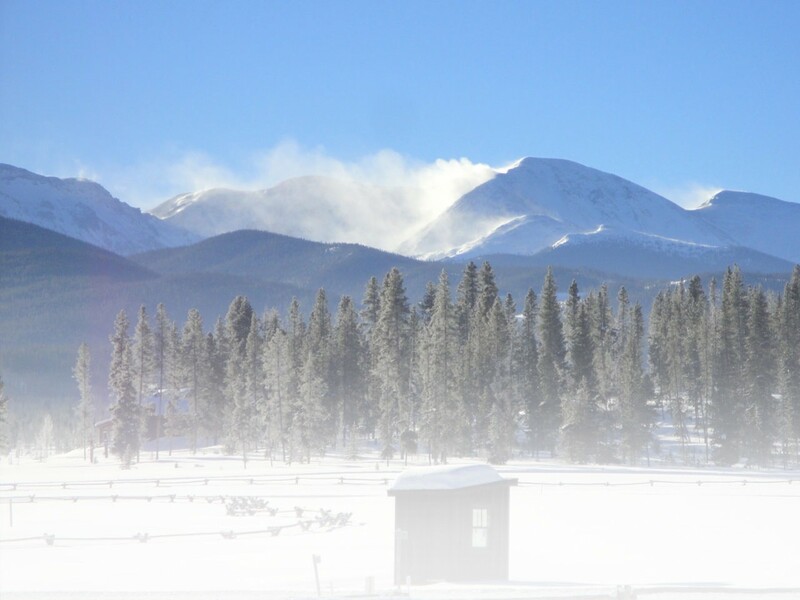 The Nordic Center has 27 kilometers of well-marked and maintained trails for cross-country skiing and snowshoeing. Snowshoers can access 8 kilometers of designated trails. In 2015, the adventure park cleared an additional 2 kilometers of snowshoe trails to keep up with increasing demand from visitors. Most trails are easy to moderate in difficulty and wander through a 200-year-old forest of thick maple and oak trees. As you hike, catch a glimpse of wildlife such as owl, deer, porcupine and rabbit. It is a common occurrence and makes for a memorable trek. For a real challenge, try the expert-rated Ironman trail that leads to a breathtaking scenic outlook point—if you have any breath left after such a steep hike. The Suspension Bridge Trail is not to be missed. However, the bridge is not for the faint of heart or those with a fear of heights. Soaring above the valley and bay below, Southern Ontario’s longest suspension foot bridge offers panoramic views of the Georgian Bay and the plunging cliffs that exemplify this world-renowned escarpment zone. For a truly exhilarating trek, sign up for the Saturday night guided tour. You’ll be handed a headlamp, a steaming mug of hot chocolate, and a load of information about the area’s history and wildlife. A knowledgeable guide will lead you through the woods, along creeks and across the suspension bridge under a sky full of sparkling stars. Snowshoeing youngsters hitting the trails. After your hike, warm up in the rustic chalet, where you will find a snack bar offering soup, sandwiches and non-alcoholic beverages. In addition, a gift shop has handy wares like winter apparel and souvenirs. Many visitors opt to bring a brown bag lunch in their pack for trailside picnics with a view. Although Scenic Caves can easily be visited during a day trip, those planning a longer stay can arrange accommodations at one of the hotels, inns, resorts or even campgrounds in the area. Moreover, many accommodations have waterfront access to the bay. Many places offer “Stay and Play” packages that may include breakfast, trail passes, tour packages, or complimentary rental equipment. If you stay overnight, purchase the “Ski 3 Passport”. This pass will allow you to explore neighboring Wasaga and Highlands Nordic centers, in addition to the Scenic Caves. A group of snowshoers sets out into the woods. Over several seasons, The Scenic Caves Nordic Center has hosted the popular “Romp to Stomp” snowshoe event. The event helps raise money for breast cancer awareness and is sponsored by Tubbs Snowshoes. In 2014, the race attracted approximately 500 snowshoe participants and raised about $50,000 for the Canadian Breast Cancer Foundation. Overall, the Scenic Caves Nordic Center has it all! It’s a fun place to take the kids, or experience a unique geographic phenomenon while gaining the health benefits of fresh air and aerobic exercise. Winter Pass Rates: $21.50 adults 18+; $17.50 ages 65+ and 17 and under; Free for kids under 6. Half-day, 3-pack, season passes and mid-week discounts also available. Snowshoe Rental: $16.50 adults 18+, ages 17 and under, and 65+; $15 for kids under 6. Mid-week discounts available. Dining: Lunch, snacks and non-alcoholic beverages available for purchase. Outside food permitted. Visit sceniccaves.com for more information. Return to the full list of Nordic Centers. This entry was posted in Destinations, New Canada, New Destinations, New North America, New Ontario, New Site, News by Katie Hearsum. Bookmark the permalink.